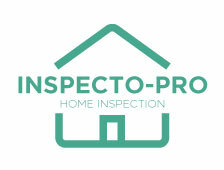 514-696-6685 - Book a consultation with Inspecto-Pro now. “The customer hereby confirms that he has been duly advised of the limits of the present inspection as well as of the advantages of an exhaustive inspection of the immovable involving the services of several professionals requiring an average of 24 to 36 hours of work. The customer hereby refuses to have such an exhaustive inspection of the immovable covered by this agreement”. While a home inspection cannot reasonably be expected to be exhaustive, such a clause lays the groundwork for the inspector’s denial of responsibility for any defect which is missed simply because he was not afforded the “necessary time” to find it. “the customer hereby pledges to the inspector that he will take no decision to purchase the immovable until he has obtained the written inspection report…”. What happens if the inspector is late in providing you with the report, or if he simply refuses to do so altogether. Such a waiver effectively eliminates your right to sue. “if the client is concerned, get a contractor or other professional to check it”. It is the inspector’s responsibility to advise you whether or not you should be concerned about a particular problem. If he is not concerned, why should you be? The fundamental purpose of a home inspection is to record the existence of patent (apparent defects). Under Quebec law, the vendor is liable for latent (hidden) defects. If the inspector is not liable for failure to record apparent defects of consequence, then he is not really liable for anything, is he? Why then would one even bother to engage his services? “All items not contained within the written inspection report are excluded from the mandate of inspection”. Unlike a clause which states that all items not contained in the mandate are excluded from the scope of inspection, this clause effectively removes responsibility from the inspector for anything which is not recorded in the report. What if the inspector was negligent or omitted to record the existence of an important defect? If it’s not in the report, he’s not responsible. “the opinions rendered are those of the inspector, and are based upon the inspector’s own experience and training”. Since you may not be privy to the inspector’s training record and level of experience, would it not be preferable that the inspection findings are based on fact and observation, rather than on a personal (rather than expert) opinion?